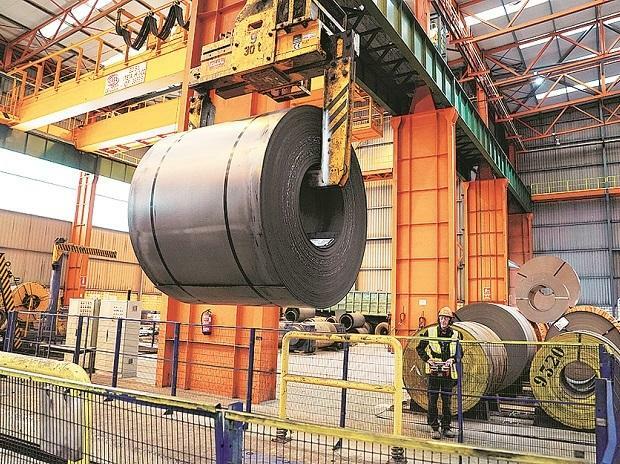 The country's exports of finished steel fell 37.3 per cent to 5.15 million tonnes (MT) in the April-January period of the current financial year, according to official data. During April-January 2018-19, "India's consumption of the total finished steel saw a growth of 7.8 per cent at 79.96 MT over the same period of last year, under the influence of a rising indigenous supply side. Consumption stood at 8.411 MT in January 2019, up by 6 per cent over January 2018," the JPC said. India has set a target of ramping up its steel production capacity and per-capita steel consumption to 300 MT and 160 kg, respectively, by 2030-31. JPC, under the Ministry of Steel, is the only institution in the country that collects and maintains data on the domestic iron and steel sector.